Since 1906, 20 Italians have been awarded the Nobel Prize. The Nobel Prize is a set of annual international awards bestowed in several categories by Swedish and Norwegian institutions in recognition of academic, cultural, or scientific advances. 1906 Camillo Golgi Medicine "in recognition of their work on the structure of the nervous system"
1906 Giosuè Carducci Literature "not only in consideration of his deep learning and critical research, but above all as a tribute to the creative energy, freshness of style, and lyrical force which characterize his poetic masterpieces"
1909 Guglielmo Marconi Physics "in recognition of their contributions to the development of wireless telegraphy"
1926 Grazia Deledda Literature "for her idealistically inspired writings which with plastic clarity picture the life on her native island and with depth and sympathy deal with human problems in general"
1934 Luigi Pirandello Literature "for his bold and ingenious revival of dramatic and scenic art"
1938 Enrico Fermi Physics "for his demonstrations of the existence of new radioactive elements produced by neutron irradiation, and for his related discovery of nuclear reactions brought about by slow neutrons"
1957 Daniel Bovet Medicine "for his discoveries relating to synthetic compounds that inhibit the action of certain body substances, and especially their action on the vascular system and the skeletal muscles"
1959 Emilio Gino Segrè Physics "for their discovery of the antiproton"
1959 Salvatore Quasimodo Literature "for his lyrical poetry, which with classical fire expresses the tragic experience of life in our own times"
1963 Giulio Natta Chemistry "for their discoveries in the field of the chemistry and technology of high polymers"
1969 Salvador Luria Medicine "for their discoveries concerning the replication mechanism and the geneticstructure of viruses"
1975 Renato Dulbecco Medicine "for their discoveries concerning the interaction between tumour viruses and the genetic material of the cell"
1975 Eugenio Montale Literature "for his distinctive poetry which, with great artistic sensitivity, has interpreted human values under the sign of an outlook on life with no illusions"
1984 Carlo Rubbia Physics "for their decisive contributions to the large project, which led to the discovery of the field particles W and Z,communicators of weak interaction"
1986 Rita Levi-Montalcini Medicine "for their discoveries of growth factors"
1997 Dario Fo Literature "who emulates the jesters of the Middle Ages in scourging authority andupholding the dignity of the downtrodden"
2002 Riccardo Giacconi Physics "for pioneering contributions to astrophysics, which have led to the discovery of cosmic X-ray sources"
2007 Mario Capecchi Medicine "for their discoveries of principles for introducing specific gene modifications in mice by the use of embryonic stem cells"
Alfred Bernhard Nobel was a Swedish businessman, chemist, engineer, inventor, and philanthropist. Grazia Maria Cosima Damiana Deledda was an Italian writer who received the Nobel Prize for Literature in 1926 "for her idealistically inspired writings which with plastic clarity picture the life on her native island [i.e. Sardinia] and with depth and sympathy deal with human problems in general". She was the first Italian woman to receive the prize. The Ig Nobel Prize is a parody of the Nobel Prize awarded every autumn to celebrate ten unusual or trivial achievements in scientific research. Since 1991, the Ig Nobel Prizes have been awarded to "honor achievements that first make people laugh, and then make them think." The name of the award is a pun on the word ignoble, which means "characterized by baseness, lowness, or meanness", and is satirical social criticism that identifies "absurd" research, although, occasionally, such research has succeeded in yielding useful knowledge. The Nobel Prize in Physiology or Medicine, administered by the Nobel Foundation, is awarded yearly for outstanding discoveries in the fields of life sciences and medicine. It is one of five Nobel Prizes established in his will in 1895 by Swedish chemist Alfred Nobel, the inventor of dynamite. Nobel was interested in experimental physiology and wanted to establish a prize for scientific progress through laboratory discoveries. The Nobel Prize is presented at an annual ceremony on 10 December, the anniversary of Nobel's death, along with a diploma and a certificate for the monetary award. The front side of the medal displays the same profile of Alfred Nobel depicted on the medals for Physics, Chemistry, and Literature. The reverse side is unique to this medal. The most recent Nobel prize was announced by Karolinska Institute on 1 October 2018, and has been awarded to American James P. Allison and Japanese Tasuku Honjo – for their discovery of cancer therapy by inhibition of negative immune regulation. Riccardo Giacconi was an Italian-American Nobel Prize-winning astrophysicist who laid down the foundations of X-ray astronomy. He was a professor at the Johns Hopkins University. Sanremo or San Remo is a city and comune on the Mediterranean coast of Liguria, in north-western Italy. Founded in Roman times, it has a population of 57,000, and is known as a tourist destination on the Italian Riviera. It hosts numerous cultural events, such as the Sanremo Music Festival and the Milan–San Remo cycling classic. Salvador Edward Luria was an Italian microbiologist, later a naturalized U.S. citizen. He won the Nobel Prize in Physiology or Medicine in 1969, with Max Delbrück and Alfred Hershey, for their discoveries on the replication mechanism and the genetic structure of viruses. Salvador Luria also showed that bacterial resistance to viruses (phages) is genetically inherited. Ernesto Teodoro Moneta was an Italian journalist, nationalist, revolutionary soldier and later a pacifist and Nobel Peace Prize Laureate. He adopted the motto In varietate unitas! which later inspired Motto of the European Union. George Emil Palade ForMemRS HonFRMS was a Romanian-American cell biologist. Described as "the most influential cell biologist ever", in 1974 he was awarded the Nobel Prize in Physiology and Medicine along with Albert Claude and Christian de Duve. The prize was granted for his innovations in electron microscopy and cell fractionation which together laid the foundations of modern molecular cell biology, the most notable discovery being the ribosomes of the endoplasmic reticulum – which he first described in 1955. William Daniel Phillips is an American physicist. He shared the Nobel Prize in Physics, in 1997, with Steven Chu and Claude Cohen-Tannoudji. Rita Levi-Montalcini, was an Italian Nobel laureate, honored for her work in neurobiology. She was awarded the 1986 Nobel Prize in Physiology or Medicine jointly with colleague Stanley Cohen for the discovery of nerve growth factor (NGF). From 2001 until her death, she also served in the Italian Senate as a Senator for Life. This honor was given due to her significant scientific contributions. Giulio Natta was an Italian chemist and Nobel laureate. He won a Nobel Prize in Chemistry in 1963 with Karl Ziegler for work on high polymers. He was also a recipient of Lomonosov Gold Medal in 1969. 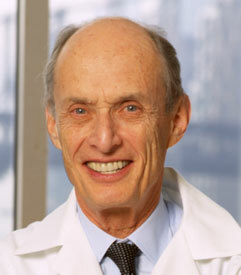 Paul Greengard was an American neuroscientist best known for his work on the molecular and cellular function of neurons. In 2000, Greengard, Arvid Carlsson and Eric Kandel were awarded the Nobel Prize for Physiology or Medicine for their discoveries concerning signal transduction in the nervous system. He was Vincent Astor Professor at Rockefeller University, and served on the Scientific Advisory Board of the Cure Alzheimer's Fund, as well as the Scientific Council of the Brain & Behavior Research Foundation. He was married to artist Ursula von Rydingsvard. Mario Ramberg Capecchi is an Italian-born American molecular geneticist and a co-winner of the 2007 Nobel Prize in Physiology or Medicine for discovering a method to create mice in which a specific gene is turned off, known as knockout mice. He shared the prize with Martin Evans and Oliver Smithies. He is currently Distinguished Professor of Human Genetics and Biology at the University of Utah School of Medicine. Italian poetry is a category of Italian literature. The Nobel Prize in Literature is a Swedish literature prize that is awarded annually, since 1901, to an author from any country who has, in the words of the will of Swedish industrialist Alfred Nobel, produced "in the field of literature the most outstanding work in an ideal direction". Though individual works are sometimes cited as being particularly noteworthy, the award is based on an author's body of work as a whole. The Swedish Academy decides who, if anyone, will receive the prize. The academy announces the name of the laureate in early October. It is one of the five Nobel Prizes established by the will of Alfred Nobel in 1895. On some occasions the award has been postponed to the following year. It was not awarded in 2018, but two names will be awarded in 2019. 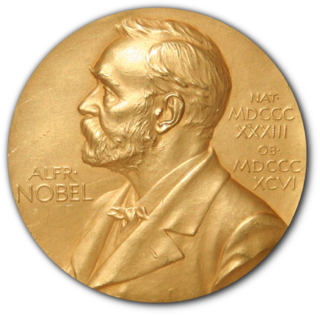 The Nobel Peace Prize is one of the five Nobel Prizes established by the will of Swedish industrialist, inventor, and armaments manufacturer Alfred Nobel, along with the prizes in Chemistry, Physics, Physiology or Medicine, and Literature. Since March 1901, it has been awarded annually to those who have "done the most or the best work for fraternity between nations, for the abolition or reduction of standing armies and for the holding and promotion of peace congresses". ↑ "Italian Nobel laureates". www.italiansrus.com. Retrieved 17 October 2015.